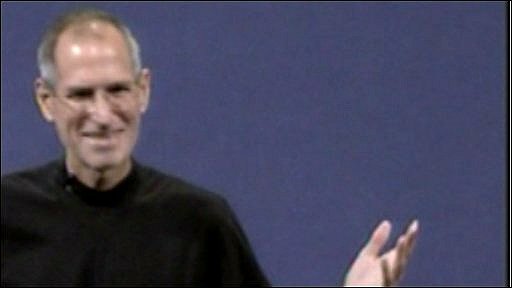 Apple boss Steve Jobs has made his first public appearance, after almost a year away from the limelight, at a product launch in San Francisco. Earlier this year, Mr Jobs had a liver transplant in a Tennessee hospital. He last appeared on stage for the company in October 2008, since when he has been absent because of ill health. Mr Jobs used his address to outline updates to the firm's popular range of music players, including the iPod Nano and iPod Touch. The notoriously private head of Apple won a standing ovation as he walked on stage, after which he gave details about his recent operation. "As some of you may know, about five months ago I had a liver transplant," he told the crowd. "So I now have the liver of a mid-20s person who died in a car crash and was generous enough to donate their organs." Mr Jobs then urged the audience to all become organ donors. But it was not long before he got down to business. "I'm getting to work with our very talented teams to come up with some great new products in the future," he said. He used the event to show off a new 64GB iPod Touch and an iPod Nano featuring a video camera, pedometer and FM radio. Mr Jobs said the firm had sold around 100m of the Nano devices, claiming that it was "the most popular music player in the world". Earlier in the address he outlined details of an upgrade to the iTunes Store and changes to the operating system used for the iPod touch and iPhone. Mr Jobs said the firm had sold over 30 million handsets and attributed its success to the App Store which, he said, now has more than 75,000 applications which owners can download to their phone. So far, he said, there had been 1.8bn apps downloaded.